Native nations are building community networks, owned and operated by tribal governments to ensure that Indian Country has high-speed Internet access. In July 2017, the Fond du Lac Band of Ojibwe announced a plan to build a Fiber-to-the-Home (FTTH) network to 900 homes that only had access to dial-up Internet service. The Duluth News Tribune reported that the Fond du Lac tribal government is putting more than $2 million towards the venture and has secured about $6 million in federal grants. We spoke with Jason Hollinday, the Planning Director, to get more details on Fond du Lac Communications and what it means for the community. The Fond du Lac reservation, “Nagaajiwanaang,” covers about 150 square miles in northeastern Minnesota, and the FTTH project will encompass most of the area - about 120 square miles. The network will offer voice, video, and Internet service. Anyone, including non-tribal members, will be able to get connected within the service area. Prices have yet to be determined, offering affordable rates is a priority. In a recent Pine Journal article, Band IT director Fred Underwood pointed out that "Connectivity is available anywhere, but is it affordable?" and added that affordability in rural areas is often hard to find. 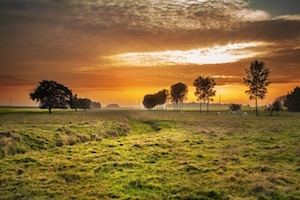 Connectivity for the FTTH network will include a program to connect low-income residents and installation fees have been waived for any subscriber who signed up before July 31st. Community centers and public buildings will all be connected and receive two years of free Internet service. The goal is to make sure that the network will be a community asset benefiting everyone. As the new administration’s FCC re-examines Network Neutrality rules, rural communities are wondering how any changes may affect areas in the U.S. that already have difficulties obtaining fast, affordable, reliable Internet service. In a recent Mountain Talk podcast, Mimi Pickering tackles the question by talking to several knowledgeable guests. In addition to Christopher, Mimi talks with other guests who offer insight into why Network Neutrality is critical to rural areas as we move forward. Rural areas tend to feel impacts harder than urban areas. The show includes audio from past interviews, news reports, and events. The Federal Communications Commission’s (FCC) move to repeal Net Neutrality and classification of Broadband Internet as a Title II Telecommunications Service could have significant impact on rural America, where the digital divide is already the largest. In this edition of Mountain Talk, host Mimi Pickering explores potential impacts with economist Roberto Gallardo from Mississippi State University Extension Services and Christopher Mitchell, Director of Community Broadband Networks at the Institute for Local Self-Reliance. We also hear from a 2015 interview with Edyael Casaperalta, representing the Rural Broadband Working Group of the National Rural Assembly, on the 2015 reclassification of Broadband as a Title II Telecommunications Service and its potential to reduce the digital divide, increase competition, and protect consumers. Finally, FCC Commissioner Mignon Clyburn talks about her work on the FCC to increase access and affordability for people of color, low income, and rural communities. Her term at the FCC will soon end but she promises to continue to speak for those who are not typically represented and calls on all folks to make their voices heard at the FCC at every opportunity. Christopher joins the interview at around 30 minutes into the show. This is the transcript for episode 263 of the Community Broadband Bits Podcast. Anne Fifield and Nick Nevins discuss how Eugene, Oregon, uses a dark fiber network to encourage economic development. Listen to this show here. Anne Fifield: I think we're going to start running out of office space downtown that we've had firms grow. We've had firms come just to locate here. They're here because of the fiber. Lisa Gonzalez: This is episode 263 of the Community Broadband Bits Podcast from the Institute for Local Self-Reliance. I'm Lisa Gonzalez. This week, Chris talks with two folks from Eugene, Oregon where the community is working on a dark fiber project to improve connectivity to the downtown area. He's joined by Anne Fifield who works in economic development and Nick Nevins from the Eugene Water and Electric Board, also known as EWEB. In this conversation, we learn about the collaboration between the two entities, including how the infrastructure is already improving Eugene's downtown, how they're funding the project, and more about the decision to expand existing fiber in Eugene. Before we start the interview, we want to remind you that this commercial-free podcast isn't free to produce. Please take a moment to contribute at ILSR.org. If you're already contributing, thank you for playing a part and keeping our podcast going. Now, here's Christopher with Anne Fifield and Nick Nevins from Eugene. Christopher Mitchell: Welcome to another edition of the Community Broadband Bits Podcast. I'm Chris Mitchell with the Institute for Local Self-Reliance. Today, I'm talking with Anne Fifield, Economic Development Planner for the city of Eugene in Oregon. Welcome to the show. Christopher Mitchell: We also have Nick Nevins on the line and he is the Engineering Technician for Eugene Water and Electric Board. Welcome to the show. Nick Nevins: Thanks for having me, Chris. Eugene is a good example of recent public-public partnerships developing to expand fiber optic Internet access. The city of 166,000 in Oregon helped finance a downtown dark fiber network by the Eugene Water and Electric Board (EWEB), which is publicly owned but has an independent governing board from the city. Eugene's Economic Development Planner Anne Fifield and EWEB Engineering Technician Nick Nevins joined us for episode 263 of the Community Broadband Bits podcast to discuss the project and early results. We talk about what businesses have been the early adopters of the dark fiber availability, how it was financed, and how it has helped to fill downtown office locations with businesses. This show is 25 minutes long and can be played on this page or via iTunes or the tool of your choice using this feed. People who live in rural America have known for a long time that urban areas have better access to Internet services. Recently, however, the issue has become a hot topic of conversation and analysis by policy experts, lawmakers, and the telecommunications industry. In a recent editorial by Virginia’s Roanoke Times, the outlet's leadership explained why “Third World standards” for Internet access won’t do for people who, by choice or circumstance, live in rural areas. While the urban areas of the state average connectivity higher than the national average, much of the state - the rural areas - must contend with speeds that compare with countries like Ecuador, Costa Rica, and Nigeria. The editors at the Times point out that, much like in the 1930s when President Franklin D. Roosevelt vowed to electrify every rural community, private firms don’t venture where lack of profit doesn’t justify an investment. "This points the way to one possible fix that even the Journal highlights: Government intervention," writes the Times editors. It’s been about two years since the people of Lincoln County, Wisconsin, learned that Frontier Communications received federal funding to expand Internet access in their region. Now, they’re wondering why Frontier has still not started construction of promised infrastructure. The community has been seeking ways to improve local connectivity for years. Back in 2013, they held a series of local listening sessions and workshops with officials from the University of Wisconsin-Extension Center for Community Technology Solutions. The goals of the workshops were to educate community members about the importance of connectivity and to learn more about the availability of Internet access at the local level. The meetings addressed both residential and business needs. Community leaders were also learning that a fair number of home-based businesses were popping up in the county. The communities of Calais and Baileyville in Maine are joining forces and investing in fiber optic infrastructure. Recently, the city councils in both communities along with the local economic development corporation decided to construct a publicly owned dark fiber network. They’ve also chosen a local firm to construct it. The idea for the project started in 2015 when the Downeast Economic Development Corporation (DEDC) contacted local Pioneer Broadband to discuss ways to improve connectivity. DEDC is a non-profit entity engaged in improving economic development in the region. Calais’s choices for Internet access were limited and some areas out of the city had no Internet access at all. DECD hired Pioneer to develop a feasibility study which would provide suggestions to improve access for both businesses and residents, with symmetrical connectivity a priority. This is the transcript for episode 259 of the Community Broadband Bits Podcast. Christopher Mitchell discusses Ammon, Idaho, with Ammon Technology Director Bruce Patterson and Strategic Networks Group's Michael Curri. Listen to this episode here. Christopher Mitchell: As they understand the model, and that's the key. As they understand the model, they start to understand how to leverage the infrastructure in a way that works for them and their business model. Lisa Gonzalez: This is episode 259 of the Community Broadband Bits Podcast from the Institute for Local Self-Reliance, I'm Lisa Gonzales. We've been following Ammon, Idaho for some time now, having written numerous stories and producing a video about the Ammon Model. The community is continuing to grow their open access network and also reap the benefits of the public investment. This week, Christopher talks with Bruce Patterson from Ammon and Michael Curri from Strategic Networks Group to offer more details about Ammon's network. In addition to sharing details about community savings and benefits to both residents and businesses, we learn more about the Ammon Model and how it works for subscribers. Before we get started, we want to remind you that this commercial free podcast isn't free to produce. Take a minute to contribute at ilsr.org. If you're already a contributor, thanks. Now, here's Christopher, Bruce, and Michael with more information on the Ammon Model. Christopher Mitchell: Welcome to another addition of the Community Broadband Bits Podcast. I'm Chris Mitchell, and I'm back with two well known guests to long time listeners of our show. We're going to start with Bruce Patterson, the technology director for the city of Ammon in Idaho. Welcome back. Bruce Patterson: Thank you, Chris. Happy to be here. Christopher Mitchell: And we also have Michael Curri, the president of the Strategic Networks Group with just a lot of analysis of various broadband networks. Welcome back. Michael Curri: Hi, Chris. Thanks. Great to be here. The City and Parish of Baton Rouge recently released a Request for Information (RFI) as a way to seek out partners interested in helping them improve local connectivity. Responses are due August 4. According to the RFI, reliable connectivity is not consistent or affordable in many areas of the community where populations need it most. Unemployment is higher than the national average and the community has approximately 26 percent of city residents and 18 percent of parish residents living in poverty. Community leaders want to use the network infrastructure to bring more opportunity to people living in the most poverty-stricken areas of the City-Parish. Economic development, better educational opportunities, and better connectivity at home are only a few of the goals Baton Rouge intends to meet. As part of the vision described in the RFI, City-Parish officials point out that they want a tool that will enable citizens to be participants in an updated economy, not just consumers of a new data product. Some of the factors they prioritize for their network is that it be community-wide, open access, financially sustainable, and offer an affordable base-level service. The network must offer gigabit capacity. The City-Parish intends to offset service costs for its most vulnerable residents through a subsidy program that will allow certain portions of the population to purchase service at a discounted rate. We expect respondents to this RFI to be prepared to build to and support those customers—many of who may never previously have had a broadband connection. This initiative may also entail the Partner(s) sharing cost and risk associated with providing low-cost or no-charge service to some customers.